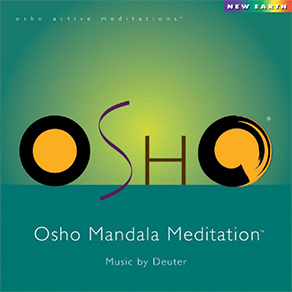 To help the contemporary seeker reach an experience of meditation, self-observation and inner stillness much easier and faster, Osho, the twentieth century Indian mystic, created several active meditation techniques. These meditations are used by millions of people around the globe with extraordinary results, and aid the modern-day seeker to experience inner silence and stillness a lot faster than what can be achieved through a long practice of passive sitting. 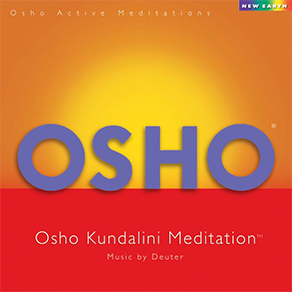 The Osho Active Meditations are not only fast and effective, but they are also easy and enjoyable to practice. Each Active Meditation technique is an hour long practice and consists of 3 to 5 stages that incorporate elements of breathing, shaking, humming jumping, dancing, and free movement. They also come with pre-recorded music (CD or MP3) to help carry the meditator from one stage to the next without needing to engage the mind and think when to move to the next stage. 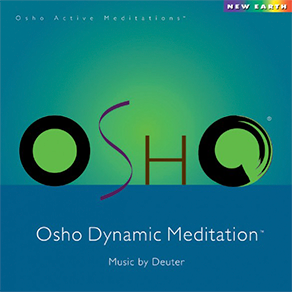 You can practice the Osho Active Meditations in the comfort of your own home or in a group. Different Osho active meditations are used during the online courses, meditation courses. intensives, workshops, and retreats. Dynamic Meditation is a synthesis of: Yoga (breath), Primal Therapy (emotional release), Physical Finess (jumping), Sound Healing (using the mantra ‘hoo’), Vipassana (silent witnessing), and Body Movement Therapy (dance). This meditation has five stages (breathing, emotional release, jumping, silent witnessing, and dancing). It is done at sunrise, on an empty stomach. Kundalini Meditation is also known as the “sister meditation” to Dynamic. With four stages of fifteen minutes each (shaking, dancing, sitting silently, and laying down relaxing), this meditation is a gentle yet effective way to release all the accumulated stress of your day and bring you into a softer, more relaxed state. This meditation is best done at the end of the day, before dinner, or at sun down. A variation of this popular technique was originally done in old Tibet in the early hours of the morning. With this new updated variation, Nadabrahma can be done at any time of the day, alone, or with others. It is best to practice on an empty stomach, and remain inactive for at least 15 minutes afterwards. The meditation lasts an hour, and has three stages (humming, circular movement of hands, and laying down relaxing). Chakra Breathing Meditation can help you to become aware of and experience each of the seven chakras. This meditation is active and uses deep rapid breathing and body movement, accompanied by musical sounds to open and bring awareness and vitality to the chakras. This meditation should be done on an empty stomach in the early morning or late afternoon. This Meditation uses vocal sounds made by the meditator along with music to open and harmonize the chakras while bringing awareness to them. 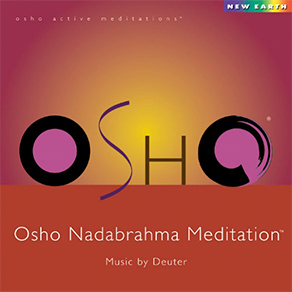 Through this meditation you can experience a deep, peaceful inner silence either by making your own vocal sounds or by just listening to and feeling the sounds that are on the meditation CD. You can do this meditation at any time. Gourishankar is what Osho called Mount Everest, the highest mountain peak, representing the height of human consciousness on this planet. This is a nighttime meditation, designed to help open the third eye – the door to inner wisdom as well as cosmic consciousness. This meditation, which originated from Gurdjieffian movements, is a centering exercise as well as a good preparation for whirling. It lasts one hour and is done in three stages. Dance is probably one of the most ancient forms of meditation practiced by men and women. Many cultures have practiced dance as a form of moving into trance and connecting with the divine, while letting go of control of the ego. Nataraj Meditation is a way to reconnect with the divine through the joy of dance. This meditation lasts 65 minutes and is done in three stages. 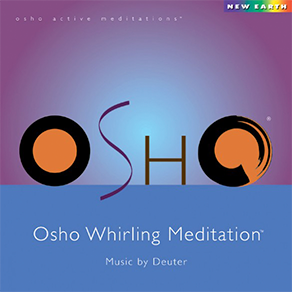 This is another powerful technique devised by Osho that creates a circle of energy, resulting in a natural centering. There are four stages of 15 minutes each. Whirling is one of the most ancient techniques practiced by Sufi Dervishes. It has a tremendous power to take you directly into your center and let you experience your unmoving center, as well as the moving whirlpool of energy all around it. Whirling meditation is done in two stages and lasts 60 minutes. 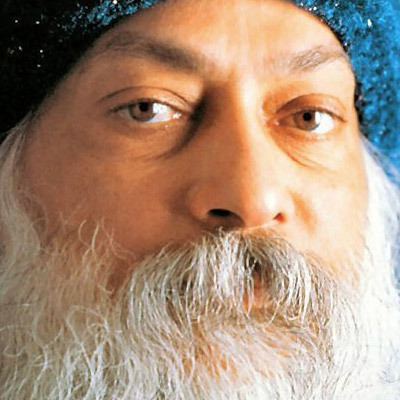 Osho is one of the most outspoken and controversial mystics and spiritual teachers this planet has seen since Jesus and Buddha. He was born in India in 1931 and became enlightened at the early age of 21. Starting his career as a young professor of philosophy, he went on to become a spiritual guide for millions of people around the globe. Through his seven thousand hours of audio and video recordings published as 350 book titles and translated into more than fifty languages, and with his brilliance and enlightened genius, he not only shook the foundation of all outdated beliefs, but also paved the way for the New Man and Woman of the New Earth. Skillfully gathering the nectar of all the greatest spiritual teachers and minds this world has ever produced, he lovingly, and with unparalleled insight, brought the fragrance of all the past masters back to life as an offering to the rising tide of the novo homo. He gave practical tools and guidance on how to live in a new state of neo-religious consciousness – a consciousness that transcends personal, national, and religious boundaries and conditionings, a consciousness that brings us as one humanity into the new era of living in a state of authenticity and awareness of the true nature of the ever-present Cosmic Joy within us. 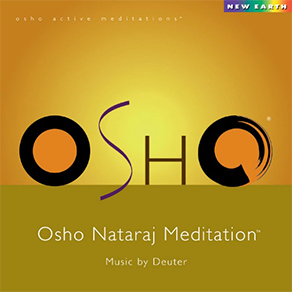 Speaking on all spiritual paths and masters with tremendous love, depth of understanding, and respect, Osho emphasizes the bringing together of the paths of love (outer devotion) and meditation (inner discipline). He teaches that taking one path would lead to the other and, ultimately, to self-realization, but living them together would enrich one’s life even more. He teaches that a life of devotion without the awareness and discipline of meditation is shallow, and a life of meditation without the heart of devotion is selfish. He also emphasizes that this new path would lead to the birth of the New Man whom he calls “Zorba the Buddha.” A “Zorba,” the name of a character from the novel Zorba the Greek by Nikos Kazantzakis, is someone who embraces life and all it has to offer with a joyful heart and celebration, and a Buddha is someone who lives consciously with compassion and awareness of their inner silence. In his small booklet The Greatest Challenge: the Golden Future Osho gives the blueprint of how to cut the roots of our problems and come out of our old outdated beliefs so we can lay a new foundation for the New Man and New Humanity. Never Born – Never Died ­– Only visited this planet Earth between December 11, 1931 and January 19, 1990, are the words written on his epitaph. They clearly echo his life and teachings, and the unsurpassed legacy he left behind for the flowering and transcendence of human consciousness.